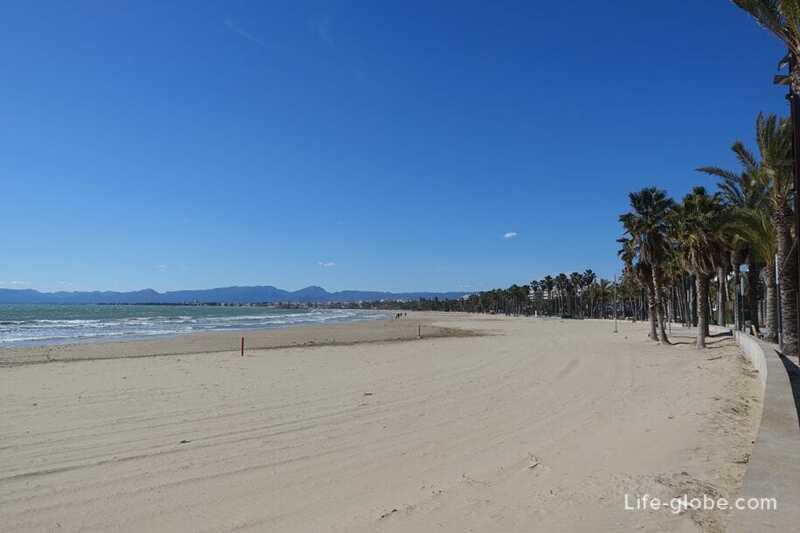 The Llevant beach (Playa Llevant) is the most popular, Central and long beach in Salou. 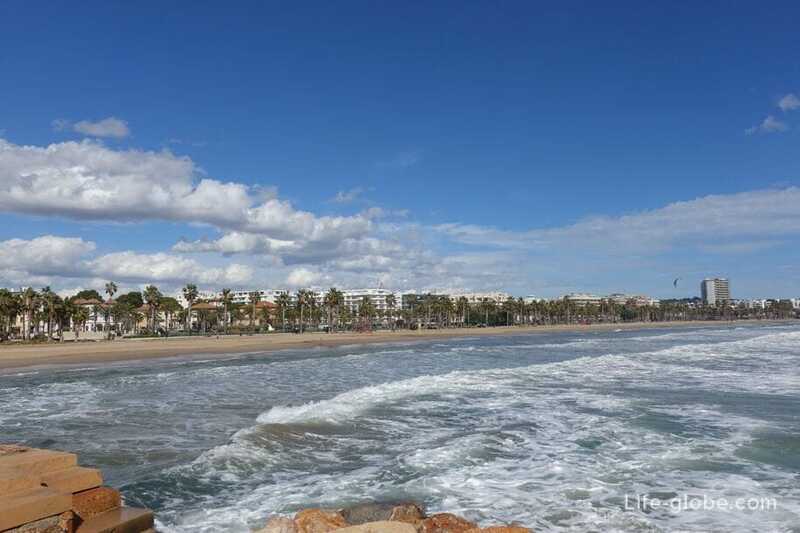 This beach is also called the main beach of Salou (Salou Beach). 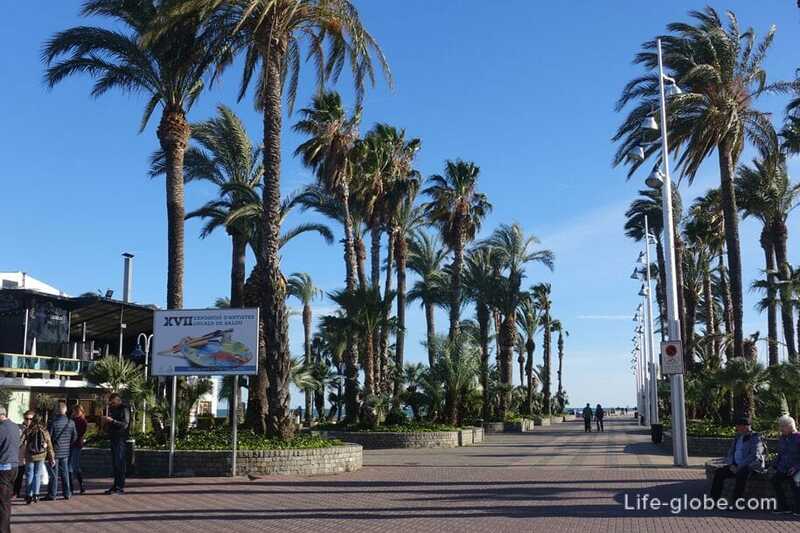 The length of the Levante beach is 1 174 meters, with an average width of 95 meters. 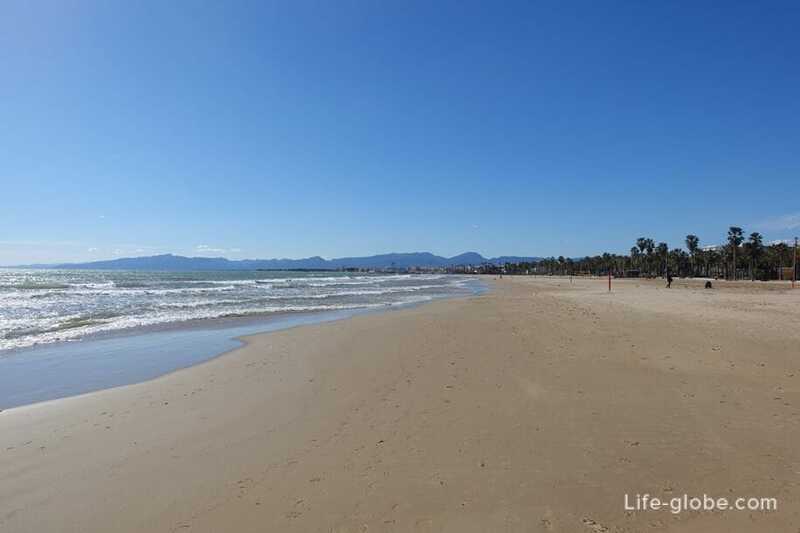 The main feature of the beach is fine Golden sand and shallow depth, smooth sandy entry into the sea. 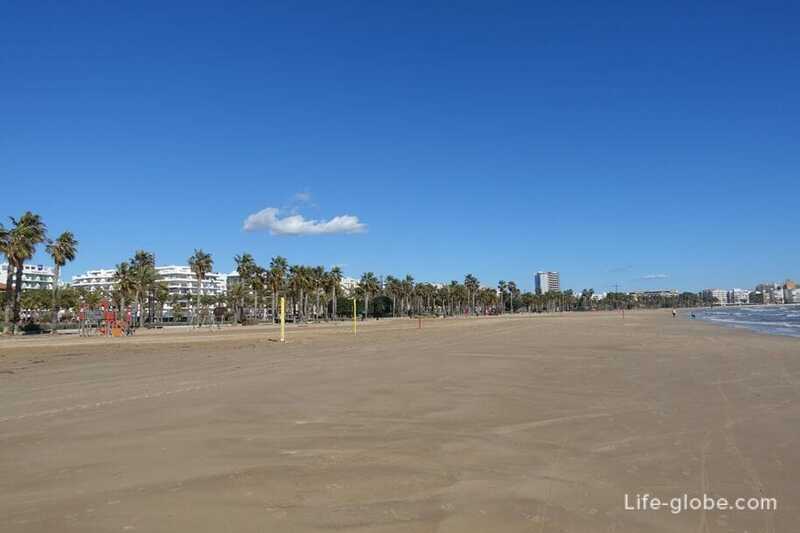 Sometimes to the coast beats algae, there are waves. 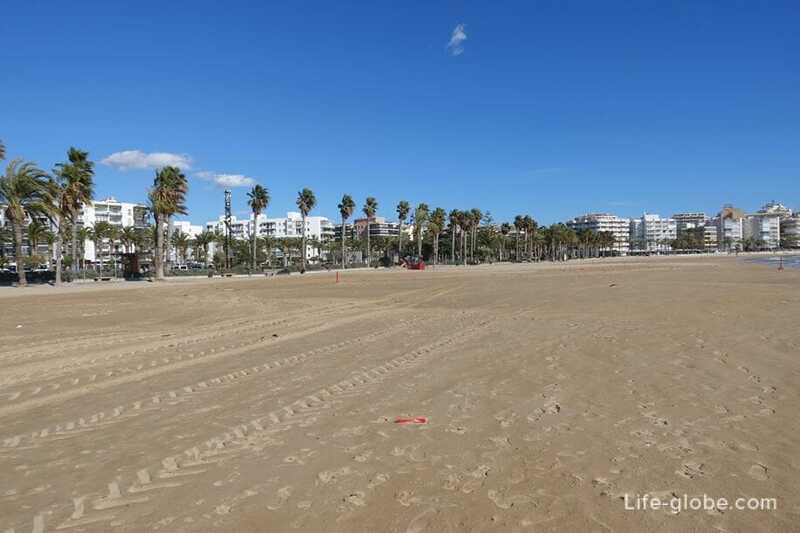 The beach is cleaned regularly, sand dub. 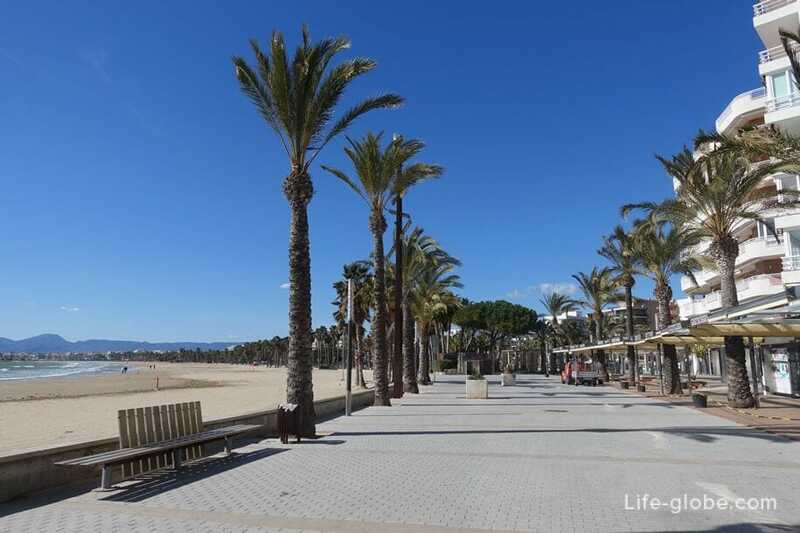 All Salou's beaches, including the Llevant beach, municipal, that is, to get to the beach can be done for free. 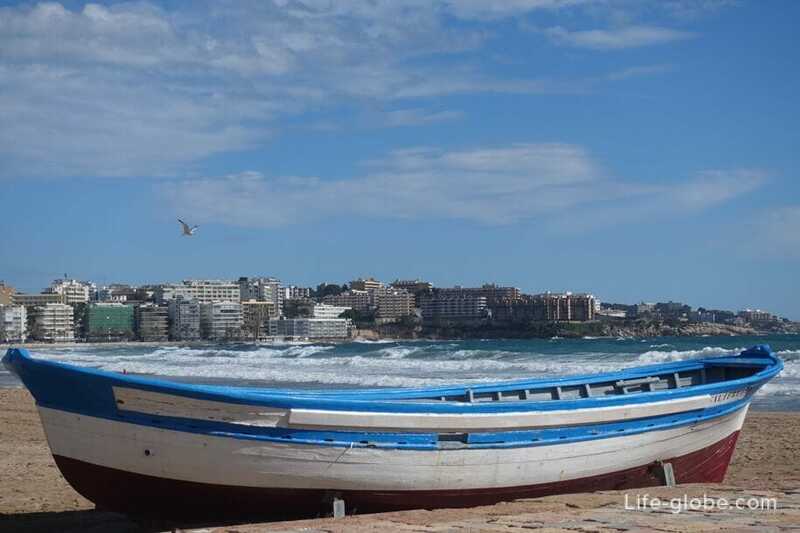 In the Tourist season on the Llevant beach there is all necessary infrastructure: sunbeds and parasols, toilets and showers, medical care, and rescue towers, bins and beach bars. 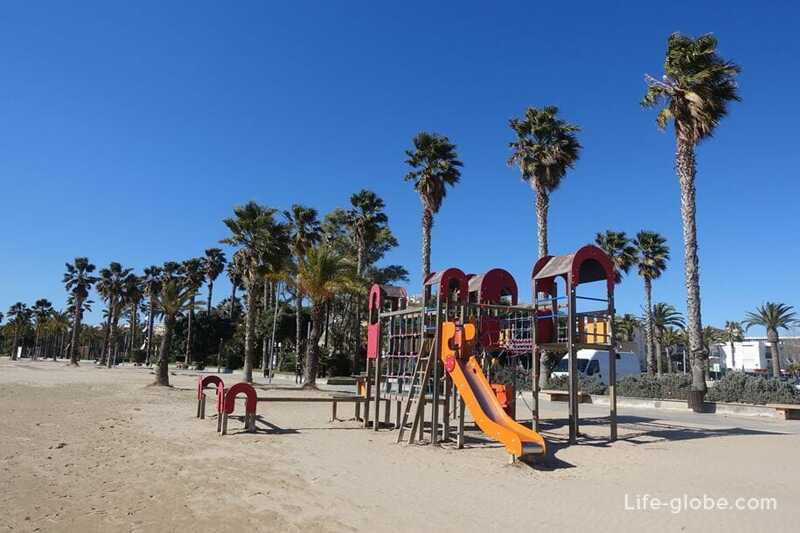 Also on the beaches there are children's play areas, dedicated places for beach sports and water sports (water bananas, rafts, paddle boats with slides, etc.). 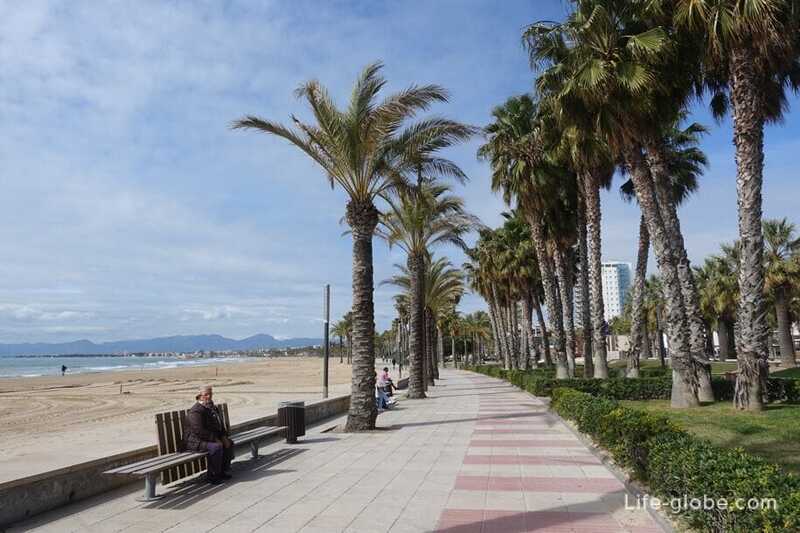 On the East side of the beach separated by a rocky headland. 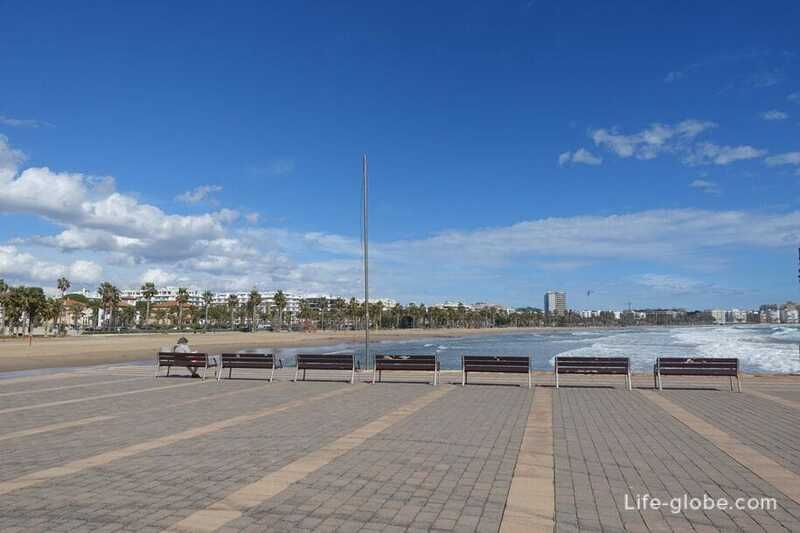 From this side of the beach, close to the beach looms the house where you can rent an apartment overlooking the beach and sea. 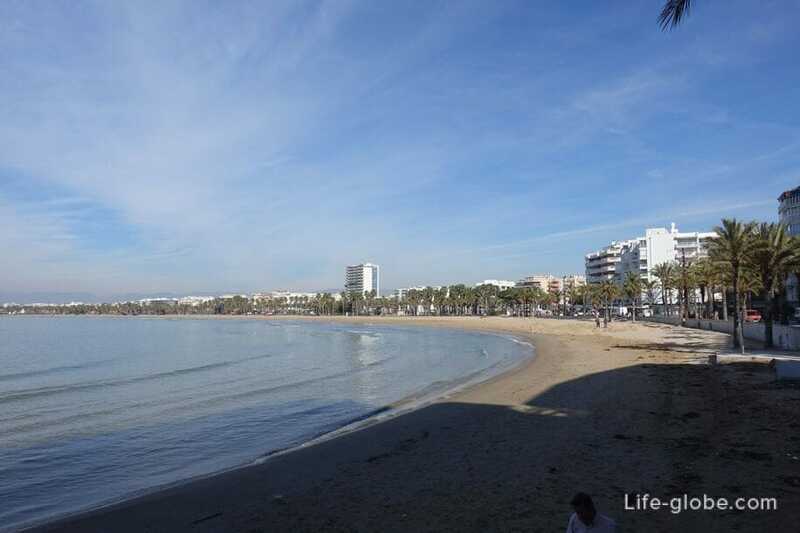 For example: 2-bedroom apartment Carrer de Colon with a living room and a fully equipped kitchen with a dishwasher and a coffee machine; 2-bedroom apartment Colon Planet Costa Dorada or duplex apartments with 3 bedrooms and sea views, Different Rubens. 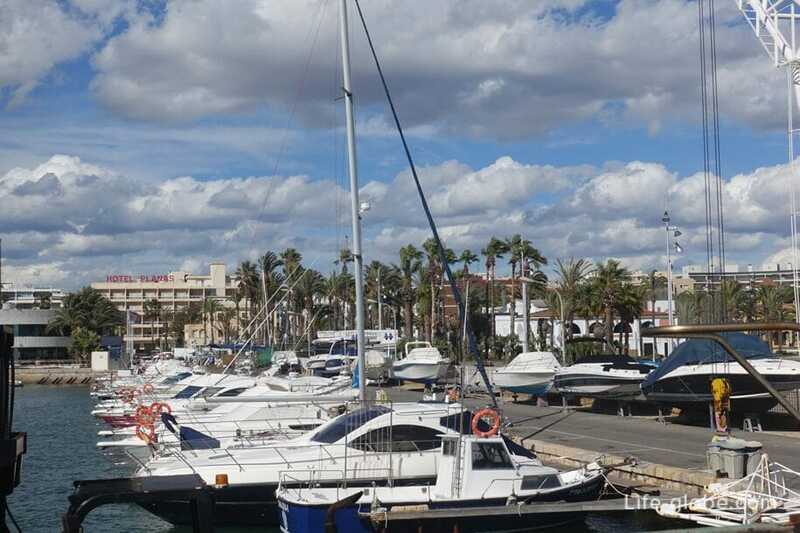 On the first floors of these buildings are cafes and restaurants overlooking the beach and the Mediterranean (Balearic) sea. 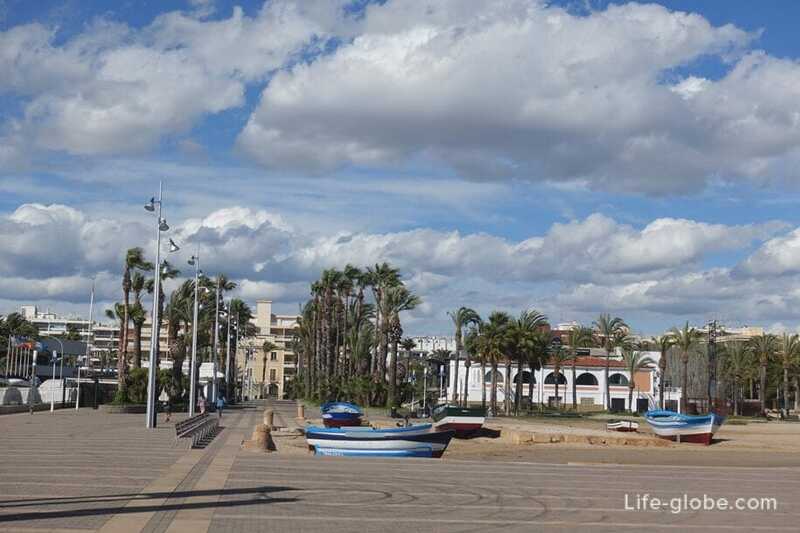 This part of the coast is very picturesque and has a pleasant stay. 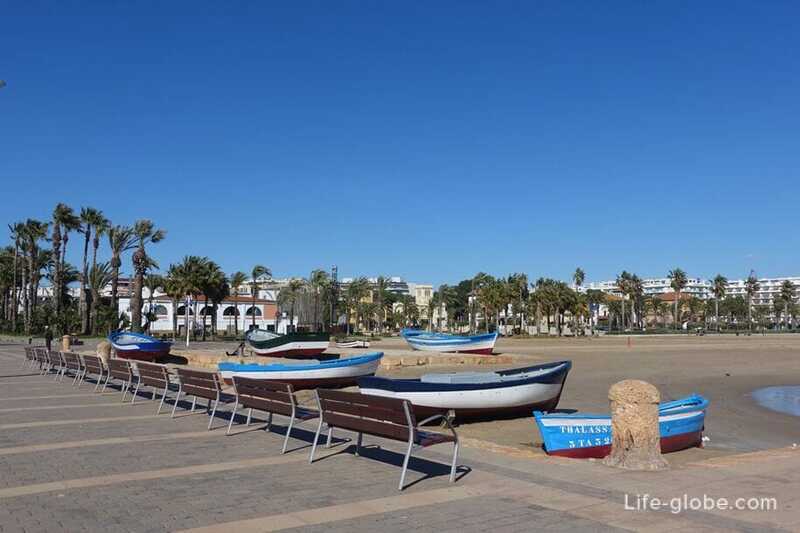 Also in this part of the beach you can see the fishing boats, near which like to be photographed by tourists. 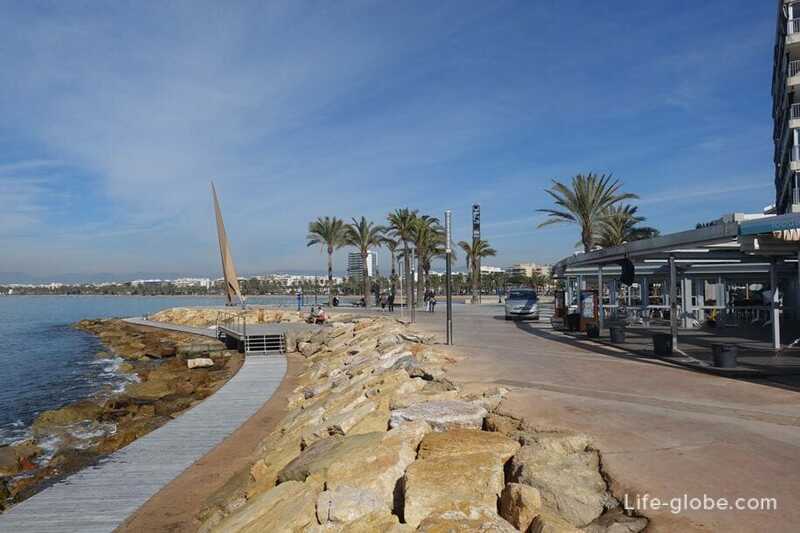 Along the beach promenade, which is a walking area. 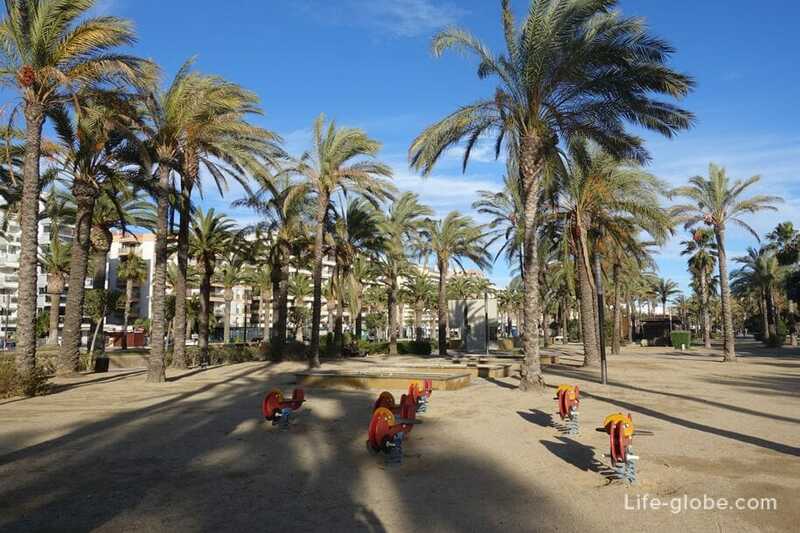 Behind the promenade lies a Park - a pleasant place to stay. 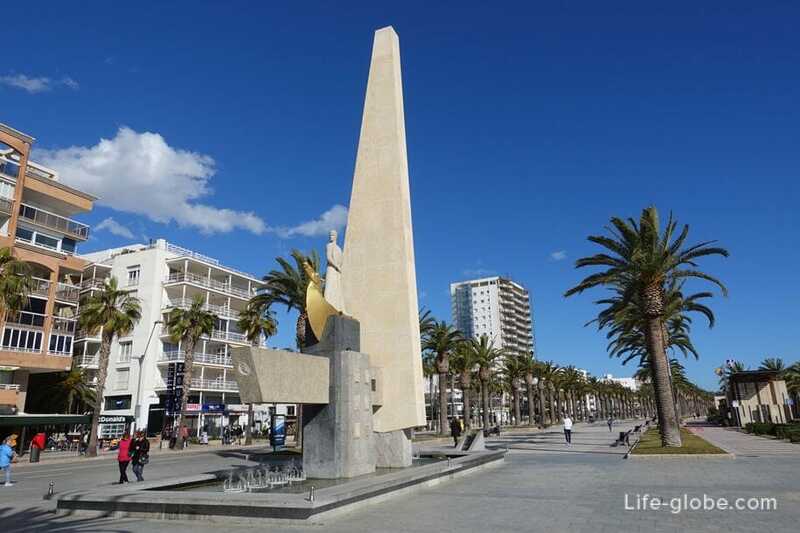 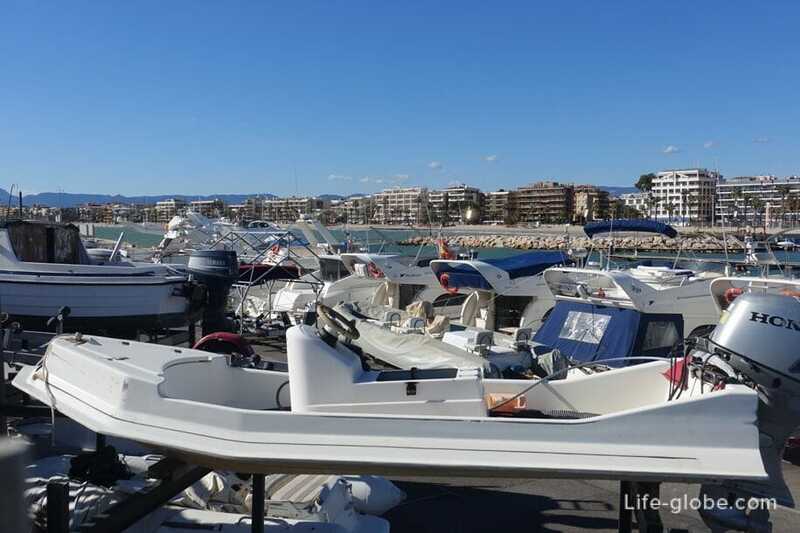 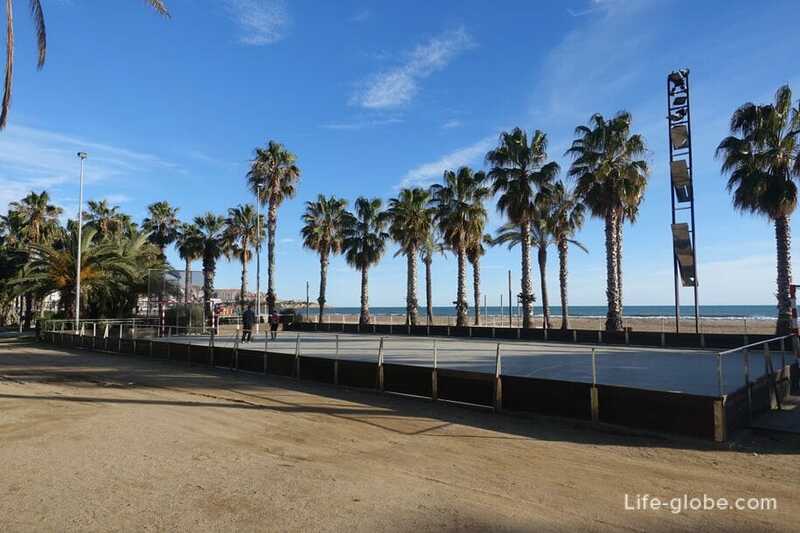 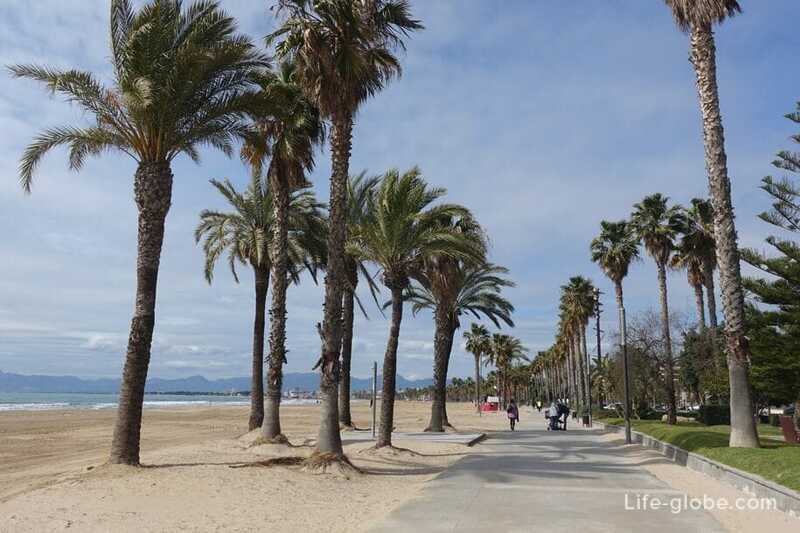 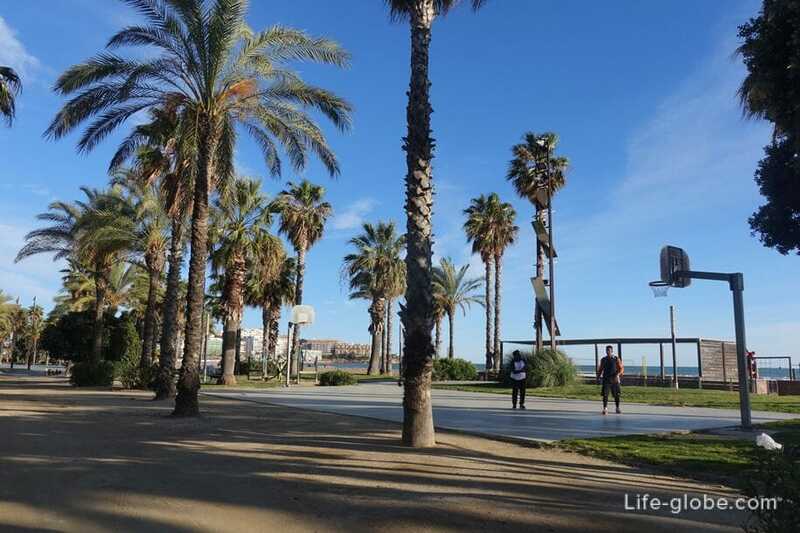 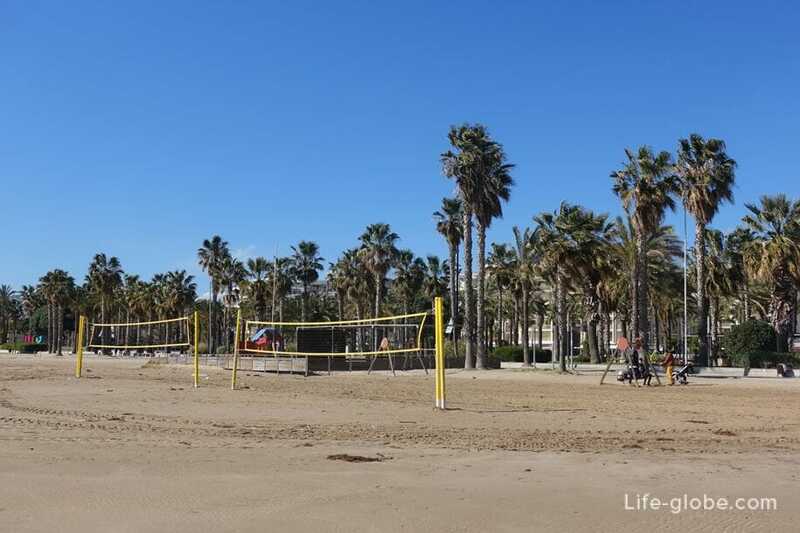 There is space for recreation and sports, Cycling path, playgrounds, a bus stop, from which you can go to Barcelona and the famous fountains of Salou in the summer period. 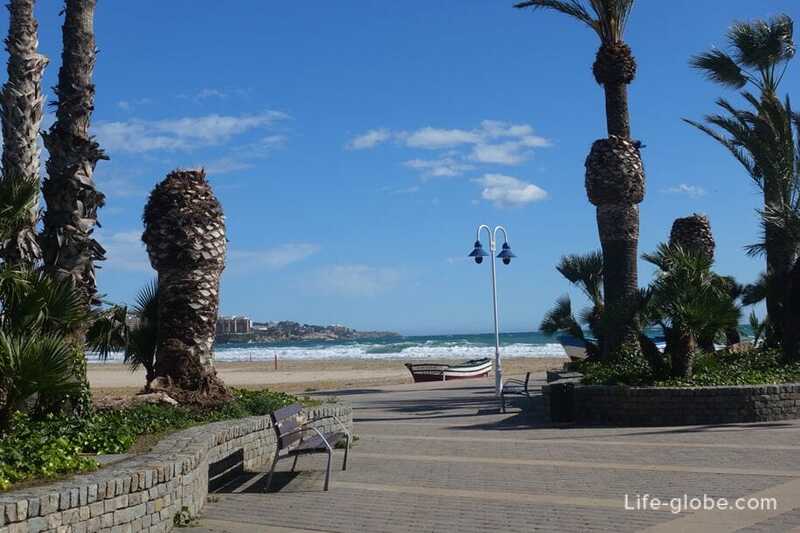 On the beach of Llevant and almost no greenery, so the natural shade on the beach either. 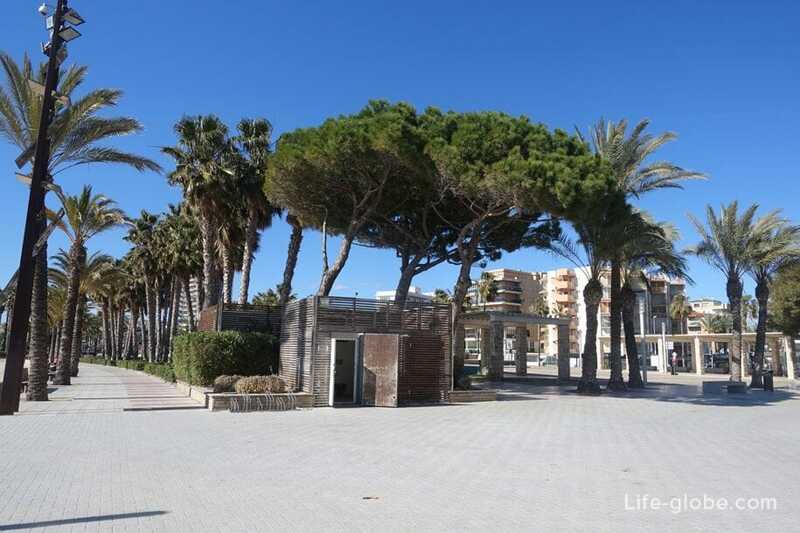 However, the Park area adjacent to the beach is quite shady and can be the option of shelter from direct sunlight. 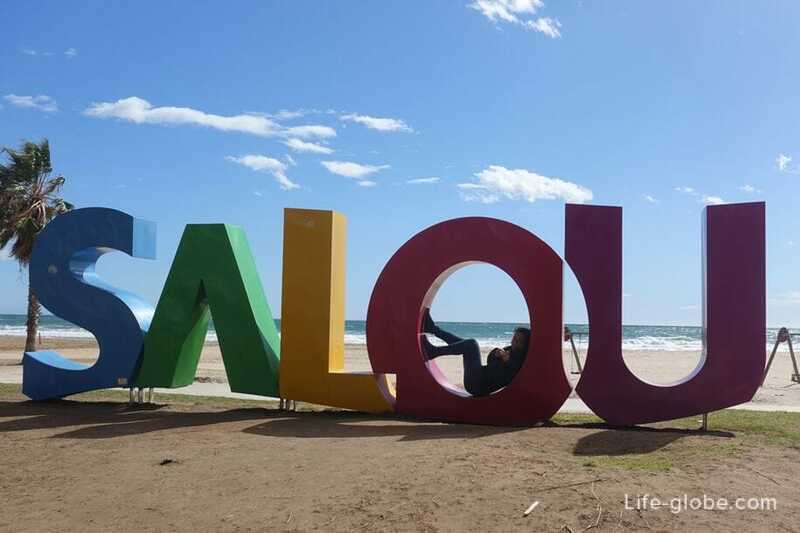 Here are the famous letters - the inscription "SALOU". 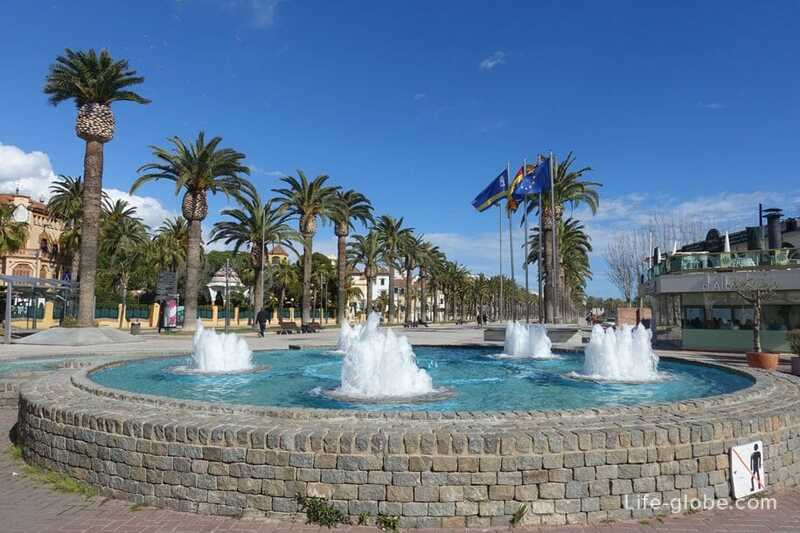 Along the Park area is the main artery of the city - a pedestrian Boulevard named after king Jaime I, decorated with palm trees and fountains. 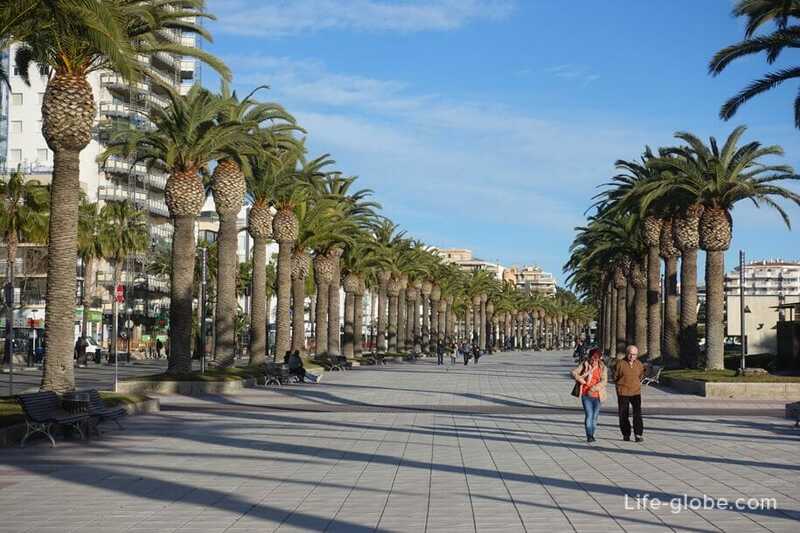 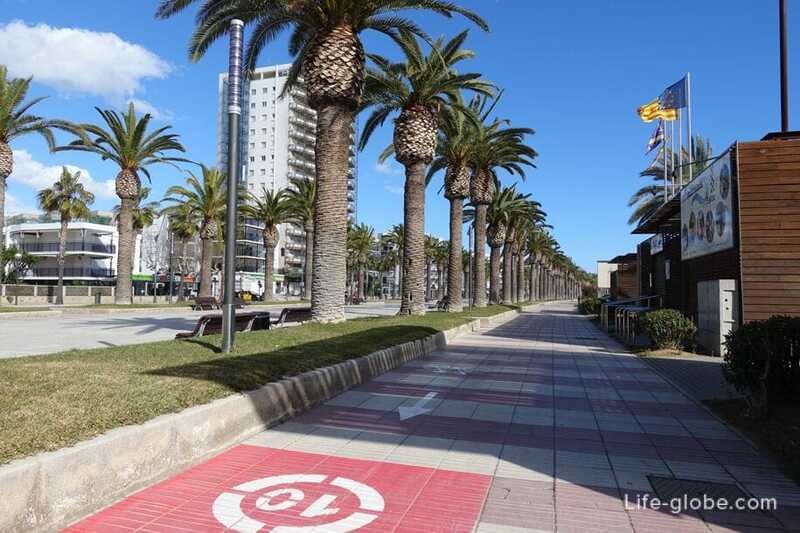 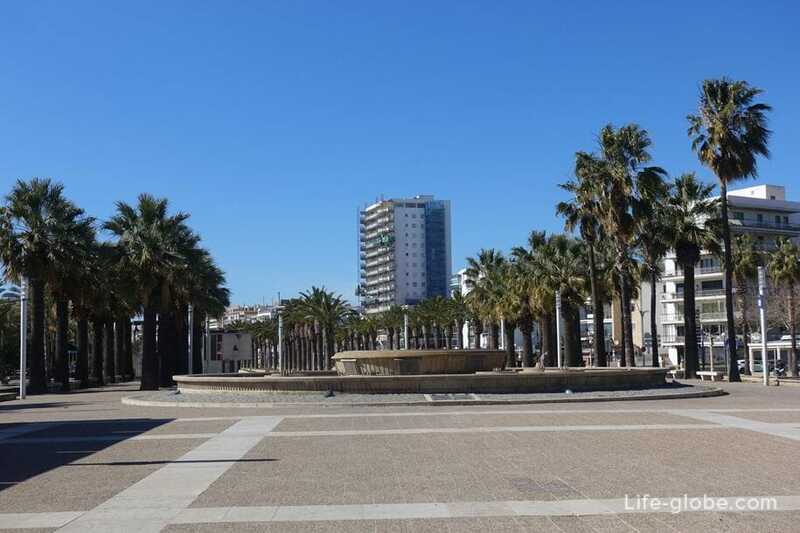 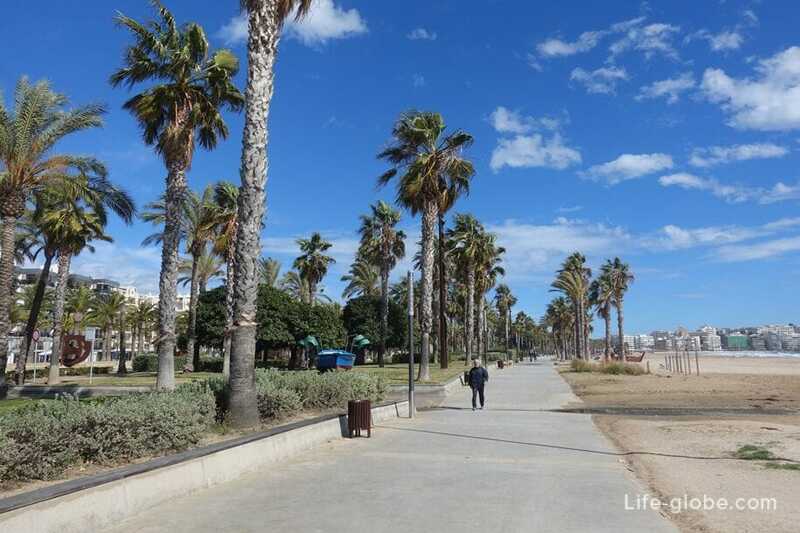 This pedestrian walkway is considered one of the best places for walking in Salou. 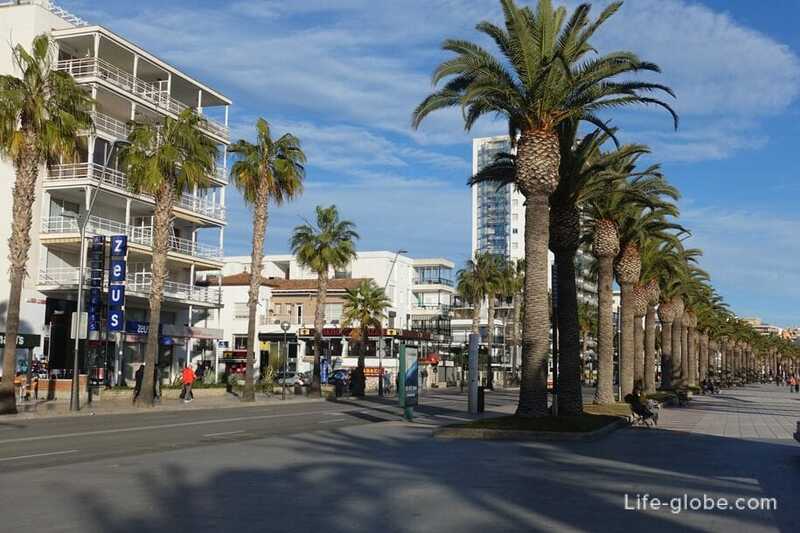 Behind the Boulevard Jiime I is passing by the road, on the opposite side of which hotels and apartments, cafes and small shops. 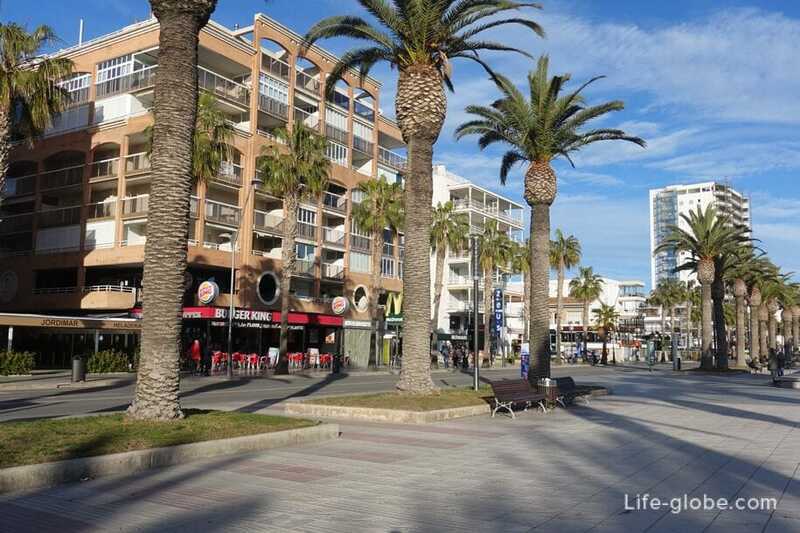 From the centre of Salou and, accordingly, is bubbling the main city life of Salou, including the evening and night. 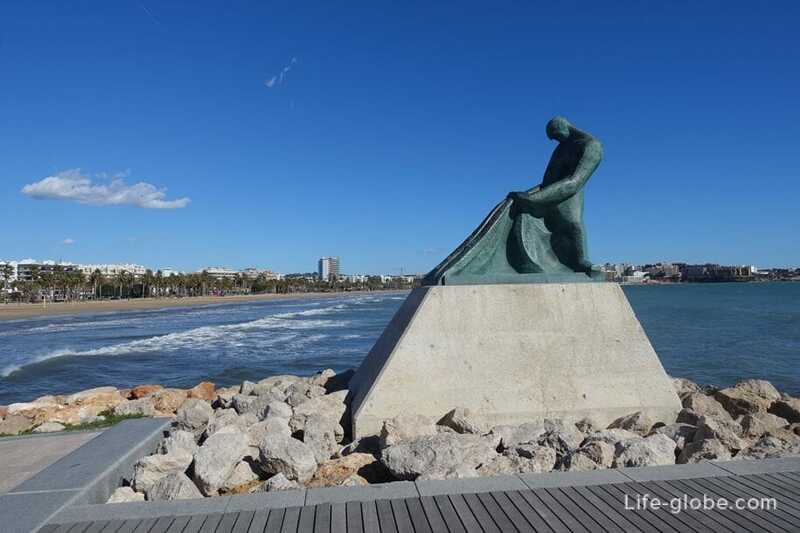 In connection with the foregoing, the Llevant beach is the most popular and visited, and, sootnoshenie, and the bustling beach of Salou. 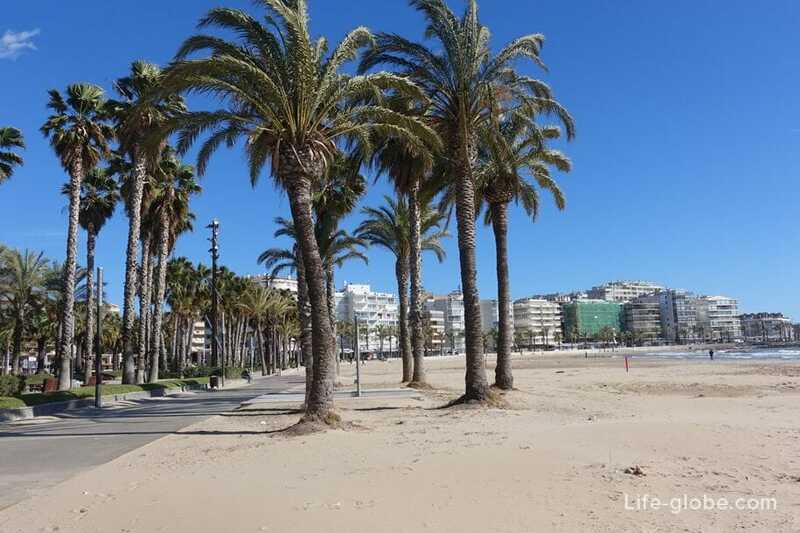 If you are looking for privacy and tranquility, for a holiday in Salou, it is better to look for other, more tranquil beaches, for example: neighbouring Ponent or the beaches of Cap Salou. 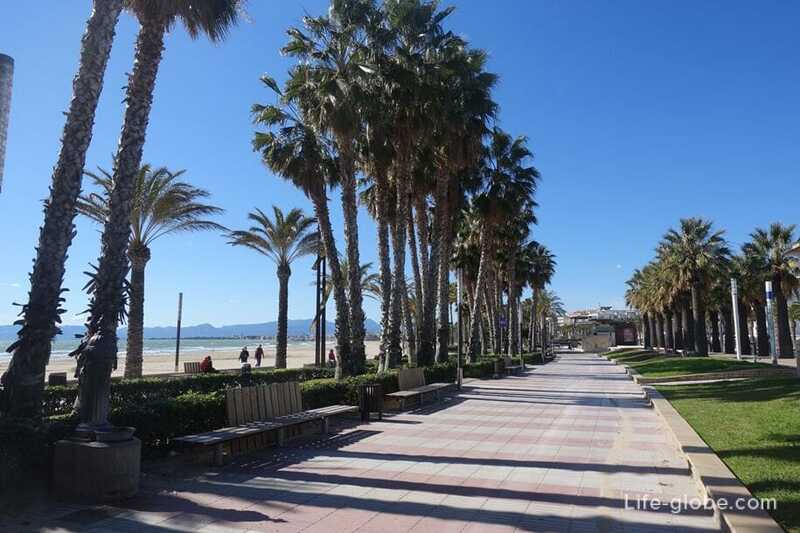 About all the beaches of Salou can read and see pictures here.